q2 result looks good and consistent but if somebody could explian the segment results about why the steel segment profit is shown less or why it varies from the previous qtr it will be helpful. I am unable to justify the fall in Prakash Industries prices. Anybody have any idea then please enlighten. Apart from receivables going up (double) … nothing seems to be horribly wrong. Posted Half yearly EPS of 18. The dubious past of promoter is already know … is that a primary reason? Global sentiments sir! 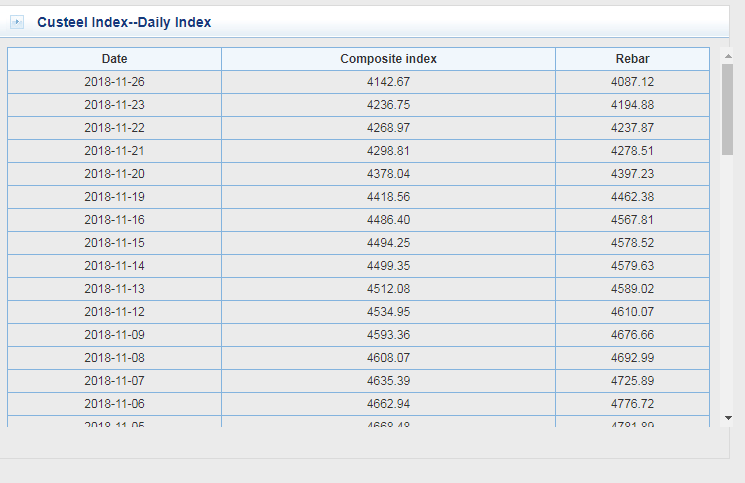 check how commodities fell in China today. Even Indian steel prices seem to have started softening as I mentioned in the Sarda energy thread. Previous quarter nos are backward looking. No doubt the stock is cheap but so are larger caps where funds should flow initially. There may be something which we are not aware of. Receivables rise is not significant. 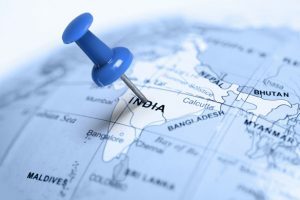 STEEL SECTOR: CHINA STEEL PRICE CORRECTING MAKING IMPORTS VIABLE | INDIAN STEEL STOCKS AT RISK! ** Landed cost of HRC Imports from China is ~INR 42000/ tonn v/s Domestic price of INR 46000/ tonne. Whereas the anti-dumping duty price threshold is INR 35000/ tonne. I have doubt on this message. It says Landed HRC prices from China comes to 42000/ton. I read various articles on net and also referred a site for prices of HRC in China. It mentions that HRC prices is 3400 yuan. If we convert it into rupees with 10.16 rupee per yuan then we get 3400 X 10.16 = 34544. Now add import duty (10 % import duty, 12% CVD-Countervailing Duty & Spl. CVD of 4%). Then the total price is 34544 X 1.26 (26% import duty) 43525. I have not even added the transport cost. To have the 42000/ton of total import cost the HRC prices should have been 3000-3200 yuan per ton. Most of the online articles mentions that prices have crashed to 3400-3500 yuan. That said the prices might have crashed more till today but the maths does not match up when I do the calculations. 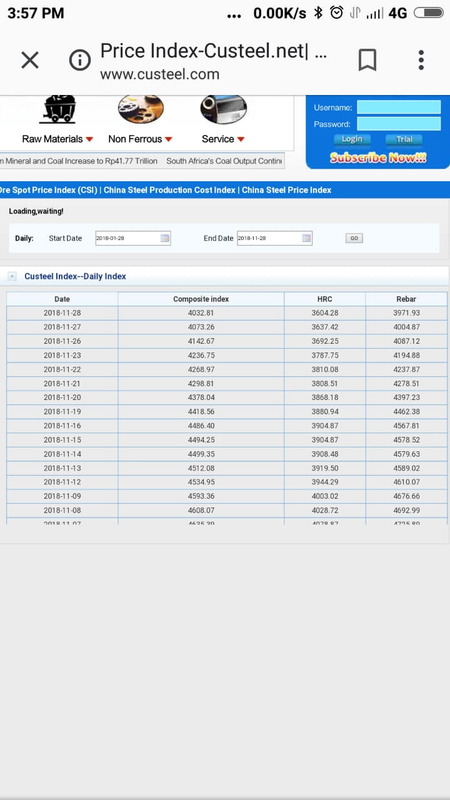 Also if I refer the site www.custeel.com/en/prices.jsp then the price of steel is 4032 yuan, HRC is 3604 yuan, Rebars is 3971 yuan. Obviously the prices will differ region to region but these number (HRC) prices does not matches with the message of landing cost of 42000/ton. According to my calculations the landed cost is 44000 to 45000 per ton if we consider HRC prices of 3400/ton. I haven’t considered the transport and logistic costs in this. It is clearly evident of steel price correction in Indian market. When I refer the steelmint site the latest prices of Rebars (Ex Delhi) is 38600. All in all I think the landed cost is between 44000 to 45000 for HRC and even more for Rebars. The import duty structure is 10-12-4 which still makes import non-viable if HRC is at 3400 range. It should go to 3000-3100 range to be import viable. Note: I haven’t added the transport cost (Shipping logistic cost from China to India) in my calculations. One thing to add is HRC is flat product, where as prakash deals in long products. Yes, as I mentioned Rebars landed cost is even higher than HRC. Given Rebars is good 400-500 yuan costlier than HRC. Rebars is at least 50K per ton if imported from China. Logistic cost not included (because I dont know the actual shipping cost). ED attaches under PMLA movable & immovable properties worth ₹117 Crores of M/s Prakash Industries in #CoalBlock allocation case. But this ED move is against which CoalBlock case? The coal blocks which were cancelled by supreme courts? or is it a fresh issue? Asking because I never tracked these cases. If it is old issue then whats going to come out of is really a question… I believe a case was filed against it in 2013-14 and nothing came out then… Is this case reopened on the fact that Supreme courts have pressed the investigating agencies on the issue or is there any substantial evidence found? -The increase in the profitability is due to higher production volumes and operational efficiencies. where is the money invested ? company generated 2174 crores in net profit and invested around 2500 crores , ? Share capital increased from 108 to 163 crores . Prakash Industries announced that the hearing of the scheme of arrangement between Prakash Industries and Prakash Pipes (demerger scheme of PVC pipes undertaking) was listed on 10 January 2019 before Hon’ble National Company Law Tribunal, Chandigarh.After the hearing , the order has been reserved by the Hon’ble bench.